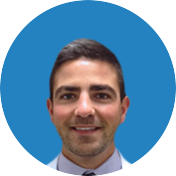 Arthroscopic Shoulder Surgery Patient, says overall experience with Dr. Tehrany was fantastic. 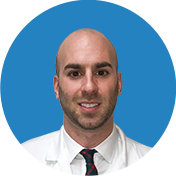 For Manhattan Orthopedic Care’s orthopedic specialists and staff, who give their best to provide tailored personal orthopedic care to every patient, it’s an honor to see a happy patient who completely trusts his doctors. But to gain the patient’s trust, our doctors have to show knowledge, experience and patience for every patient. 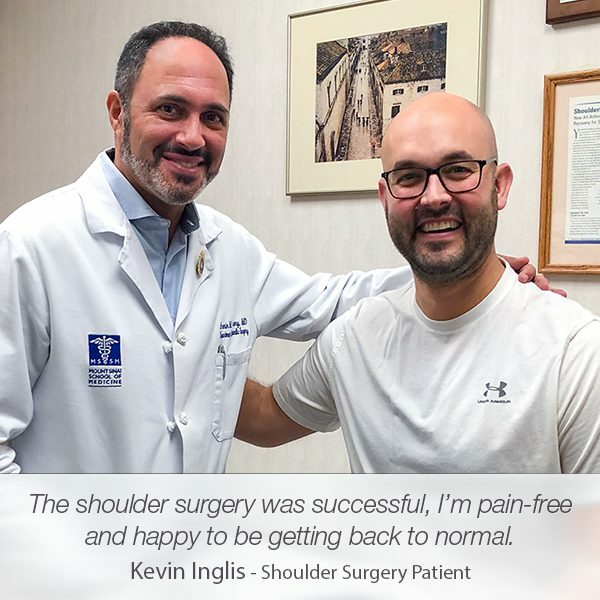 May it be an injured shoulder followed by arthroscopic shoulder surgery or knee pain followed by an arthroscopic knee surgery; our goal is always the same – for the patients to have a great experience and a successful recovery. 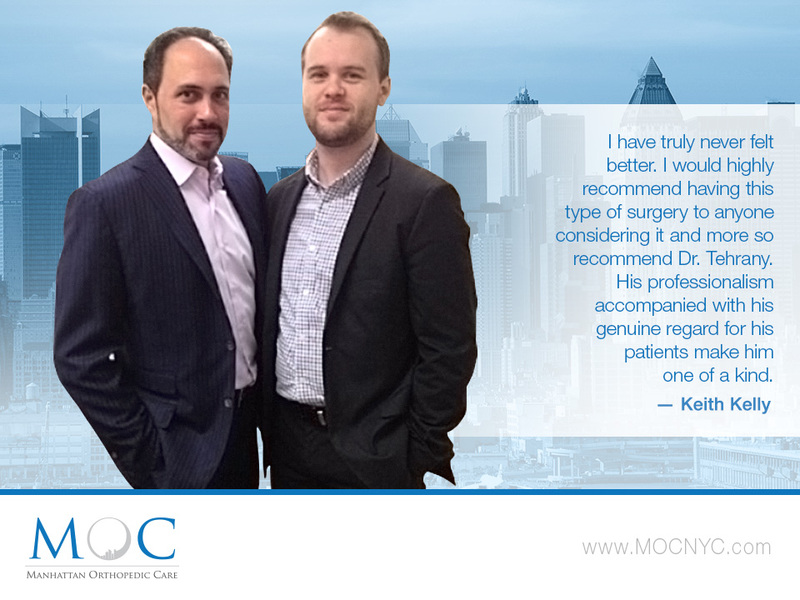 After being referred to Dr. Armin Tehrany by a friend, Keith Kelly visited MOC in hopes that he will get the proper consultation and care for his injured shoulder. His friend was not wrong. Dr. Armin Tehrany made an effort to explain the injury, the procedure – shoulder surgery and the role of the insurance. 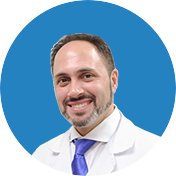 “My overall experience with Dr. Tehrany was quite fantastic. After being referred to from a friend, I called Dr. Tehrany’s office explained my shoulder injury. 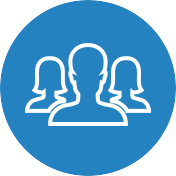 I was pleasantly surprised by the knowledgeable staff who took that time to highlight the benefits of the office, give a brief explanation of how their office worked with patients, and explained what role my insurance would play. It was so nice to know I had an active staff handling insurance so I could focus on my decision for a shoulder surgery. I scheduled an MRI before my initial visit with Dr. Tehrany per their recommendation to properly assess my condition as to not waste anyone’s time. Not to mention, I was given several choices of facilities with cost breakdowns for each.”, wrote Mr. Kelly in his patient testimonial. 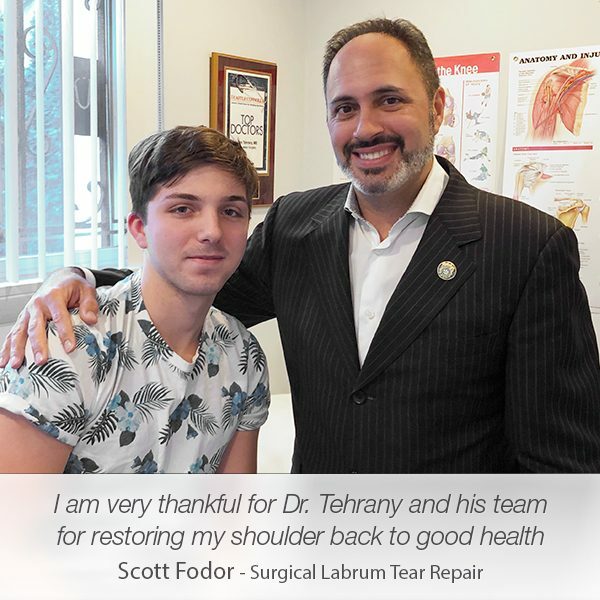 By recommending another doctor for a second opinion, Dr. Armin Tehrany made sure that Mr. Kelly was confident about shoulder surgery. The whole medical experience should always be on the patient’s terms, it should be his decision. The shoulder surgery was a “really great experience” as Mr. Kelly wrote. It was an arthroscopic shoulder surgery with incisions that are hard to notice. After the arthroscopic shoulder surgery, it was time to start thinking about the recovery and rehabilitation. MOC’s shoulder specialist Dr. Armin Tehrany puts much attention into the physical therapy, as well as educating the patient about the importance of the successful recovery. Dr. Tehrany monitors the recovery process to make sure everything is going according to plan, and the patient, in this case, Mr. Kelly, will have a positive experience. 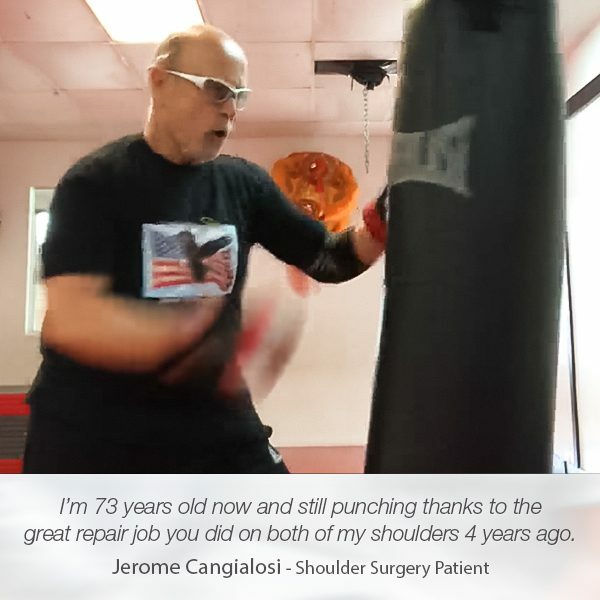 “I was told before surgery, with physical therapy, it would take about 4-6 months to fully rehabilitate the shoulder. Dr. Tehrany is very adamant with his recommended physical therapy routine as it is paramount to successful recovery. He actively monitors your progress within those first couple of crucial months leading the way to regaining full range of motion. 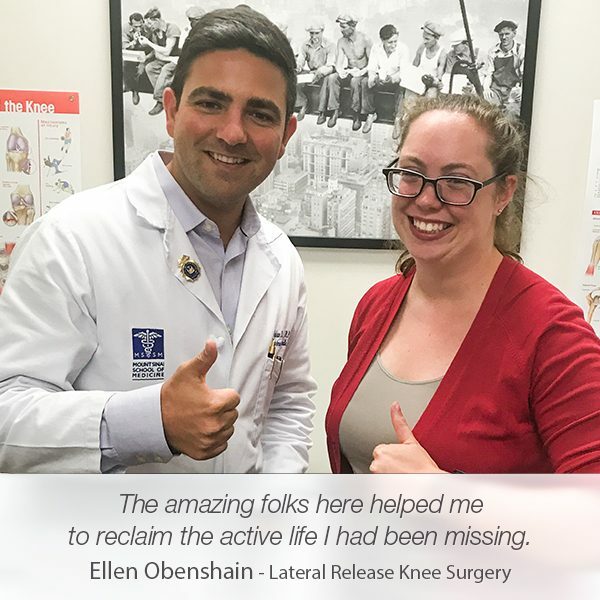 With a top-notch physical therapist having tables and workout equipment in the same office, their communication and understanding of my progress has left me with an overwhelmingly positive experience and outcome. I have truly never felt better. I would highly recommend having this type of surgery to anyone considering it and more so recommend Dr. Tehrany. His professionalism accompanied with his genuine regard for his patients make him one of a kind.”, wrote Keith Kelly in his patient testimonial.